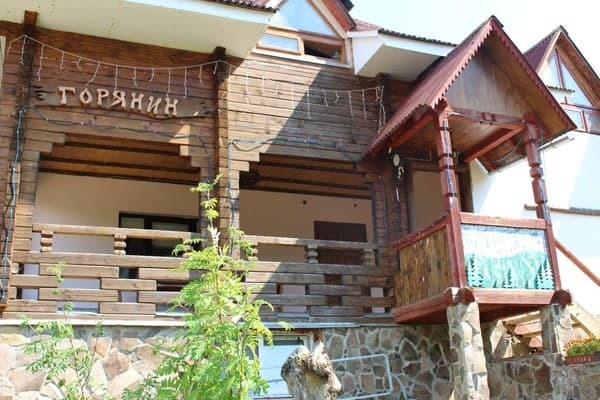 Hotel "Goryanin" is located at the foot of the Borzhavsky Polonina, 800 meters from the Shipot Falls. 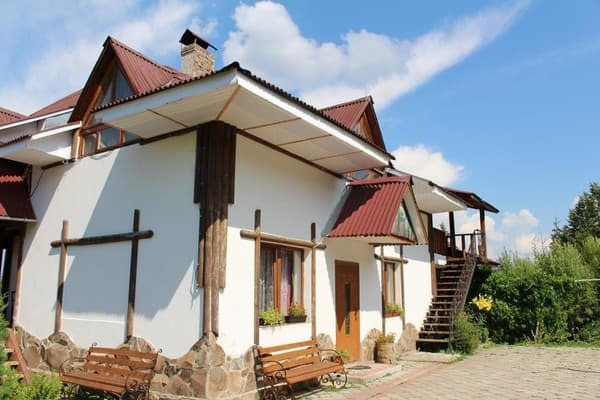 Hotel "Goryanin" is a comfortable two-storey cottage, consisting of 10 rooms of various categories. 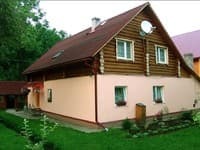 Guests are offered accommodation in comfortable rooms with all conveniences and without. The hotel offers free parking for cars, a sauna. Meals are served on the menu in the "Kolyba", mostly home cooking. Near the hotel there is a small lake, pavilions and a brazier. It is possible to book a transfer from the railway station. Volovets. 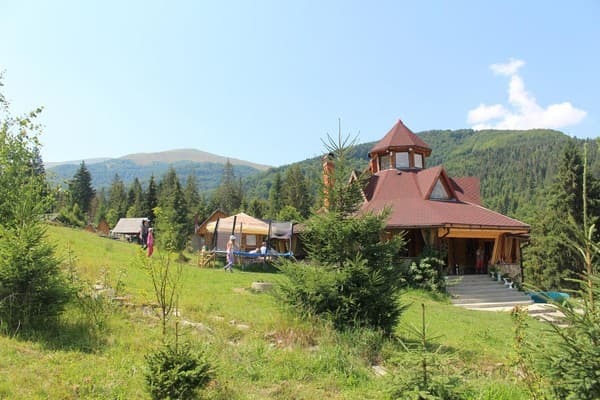 The distance to the nearest ski lift "Borzhavsky Polonyny" - 50 m, to the chair lift - 70 m. PRICES MAY CHANGE, IT IS REQUIRED TO RECEIVE INFORMATION FROM THE OPERATOR. 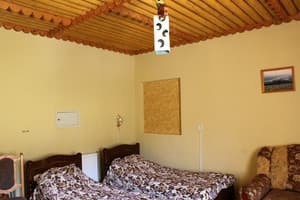 Description of the room: The room is equipped with two single beds, curbstones, TV and a combined bathroom. Hot and cold water supply is uninterrupted. 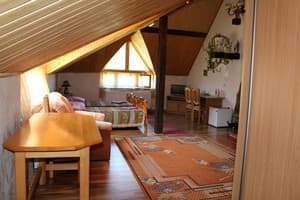 Description of the room: The room is equipped with a double bed, coffee table, chairs, TV. Combined bathroom: shower, sink and toilet. Hot and cold water supply is uninterrupted. 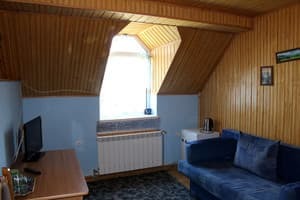 Description of the room: Spacious room with fireplace, two single beds, bedside tables, armchair, table with chairs, TV, bathroom with shower. Hot and cold water supply is uninterrupted. Description of the room: The room consists of two rooms: a bedroom and a lounge. 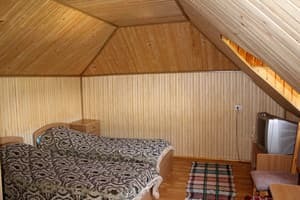 The bedroom is equipped with two single beds, bedside tables, chairs. In the living room there is a sofa bed, table with chairs, TV. The room has a combined bathroom: shower, sink, toilet. Hot and cold water supply is uninterrupted. It is possible to provide extra beds in the rooms. Meals are served on the menu in the "Kolyba", mostly home cooking. 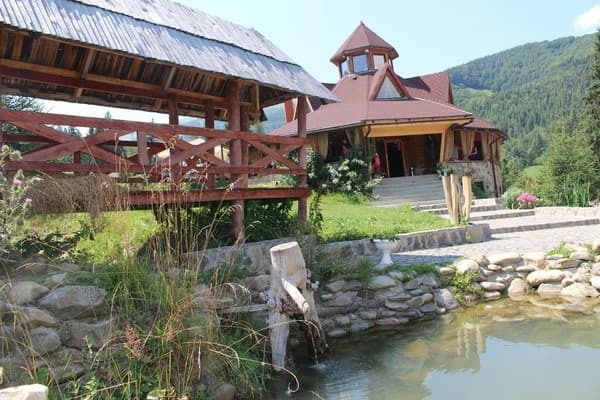 The hotel is located in the most beautiful corner of the Carpathians at the foot of the Borzhava Polonina on the border of a coniferous-beech forest, 800 meters from the waterfall of Shipot. Very close to the hotel there is a cable - chairlift, which operates all year round. 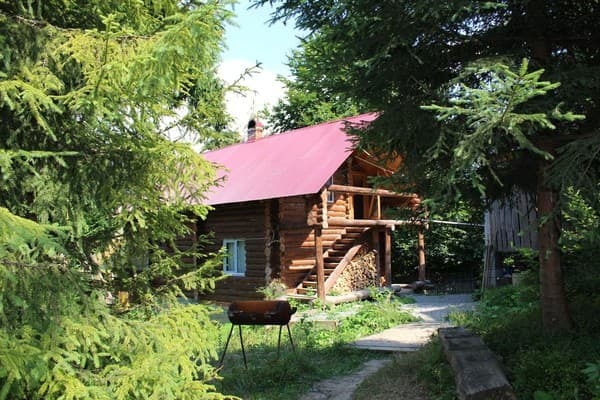 By train, which travels through Uzhgorod or Chop to Volovets station. Own transport - the route Uzhhorod - Chop to the village. Lower Gate, thence to Volovets-Pylypets. Distance UZHGOROD - PILIPETS - 150km; Lviv - Pylypets - 180km.